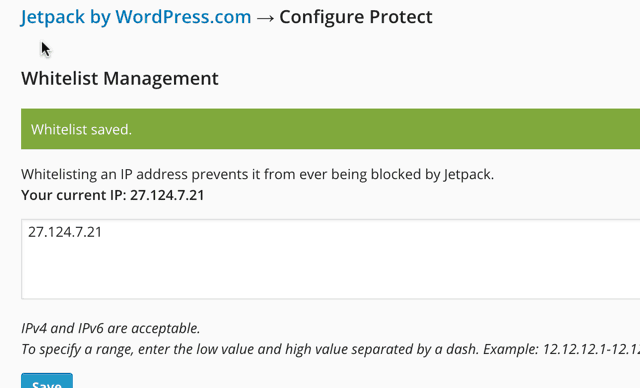 Jetpack WordPress plugin recently added a new feature call Protect. This is a security module which protects your blog from brute force attack. 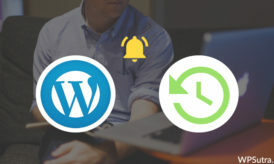 Unlike other WordPress brute force protection plugin, this plugin works differently. It monitors the I.P., which tried to log in to various WordPress blog and ban it to protect the blog. Which I believe is a better way than locking out someone who tried failed login into your WordPress blog. 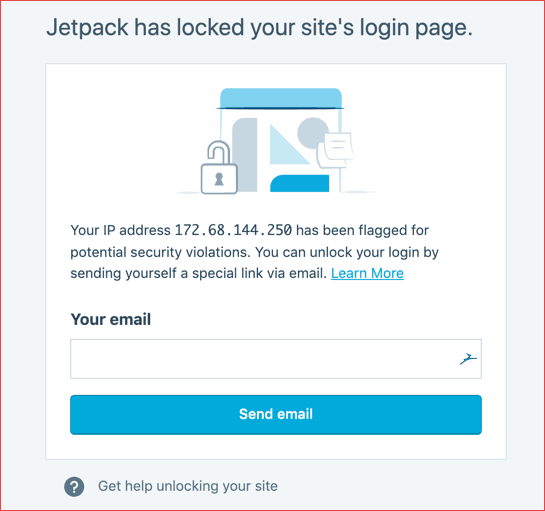 Jetpack has locked your site’s login page. I was in shock mode since I didn’t try logging into any other WordPress blog, and neither of my logins was a failed login. Indeed it was due to the new Protect module by Jetpack, but I was out of my WordPress blog and was unable to log in. So, technically I was unsure if I could log in in few minutes or I’m locked out for a few days. If you are in a similar situation like me, here is the solution to Jetpack protect module issue. The easy & simplest way is to whitelist your I.P. If you have access to your blog at this moment; you can go to Jetpack > Settings > Protect > Configure & whitelist your I.P. Replace x.x.x.x with your own I.P. Another simple trick is to use a VPN. This will change your I.P and you should be able to log in without any hassle. However, you should try logging in using incognito mode or either open a different browser. If you are already logged into your blog on a different tab, and you are getting the error when you opened a new tab. Simply go to http://www.domain.com/wp-admin/edit.php (replace domain.com with the actual domain), and you might be lucky enough to see your dashboard directly. Since your cookie is already stored, you should be able to get inside your dashboard. If not, follow the above two methods. I believe this is one issue which many users will face, as this was a false alarm. If you faced this issue, let me know how you resolved it. Thanx buddy.My ip is blocked by jetpack.Now i find the right solution and it works successful. Thank you so much! I just got this notice a few minutes ago. I tried adding the code to my wp_config file but my blog went dead. Went back and added these symbols: /** . My blog came back and I was able to log in and whitelist my IP address. Just make sure u re not using the inverted comma but a single quote sign. My question is, what about regular blog users? Will they run into this also? I mean, I don’t even know why I got locked out. So will a regular user get locked out with no explanation? Does it have to do with opening a new tab? Thanks for this valuable information that I didn’t know I needed until now. Thanks for this. Not sure where in the wp_config file I should add this though. Can you please let me know? And the same with the /** in Lisa’s comment? Thanks a lot! I got the notice several times already and I just waited it out but with the help of your article, I was able to whitelist my ip 🙂 Thanks! I am not sure this is the solution as the IP that is listed in the error message is NOT my IP. I searched and this IP is from China and if I whitelist this IP THEN Whoever owns can hack my site. When I check what is my IP. I get a different IP that is already white listed. I am worried that if I whitelist the IP in the error message then the message may go away but I actually white listed a hacker IP and invited them to my site. Pls help. This was a show stopper for me. This is a case of security gone wrong!! I went in the ssh and deleted the jetpack plugin from my wp_contents/plugins folder. I’ve decided to do without it rather than wonder if one day I will not be able to login to my site again. If I need IP security on my site I would do it using my web server configs. This is called perfect solution. Kindly note: There is a little error. The curly comma do not work. Consider changing it to normal. Wow, this really solved my problem. Thanks a lot. Kindly note: There is a little error. The curly inverted comma is not allowed to use. Please consider changing it to normal. Thanks mate it worked 🙂 your article saved my day..
Can u tell me some another way. You’re awesome, it worked! Tnx!